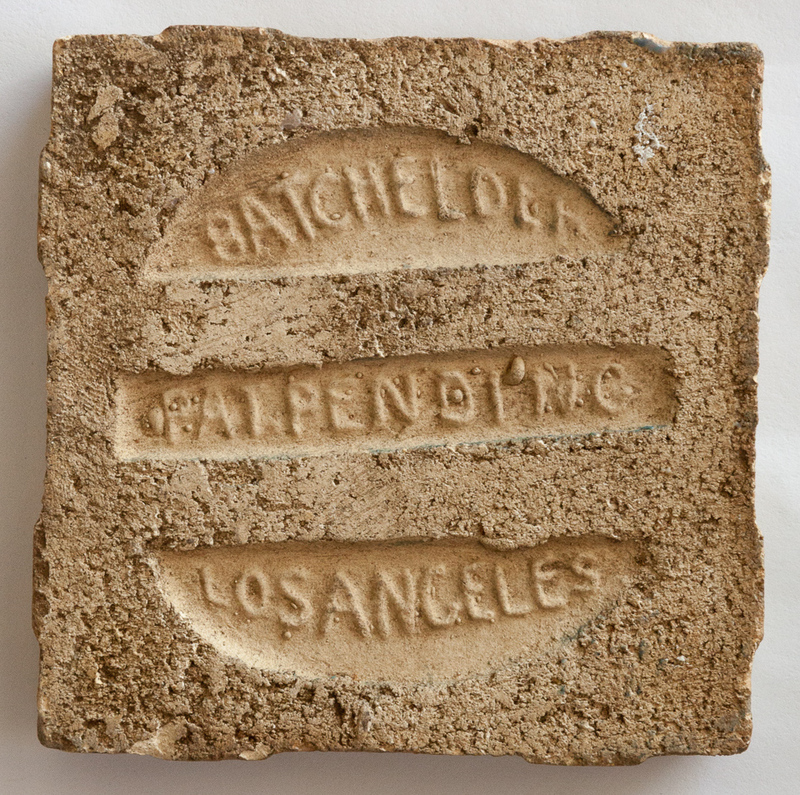 Batchelder Tile Company is perhaps the best known of California tile companies of the early 20th century. 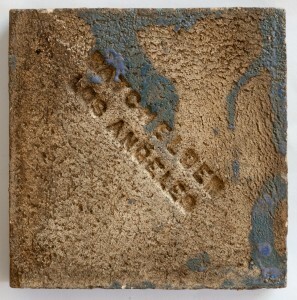 It operated in Los Angeles from 1910 until 1932 and started with producing Arts & Crafts hand-pressed mold tiles that were finished in matte glazes or engobe (clay slip). 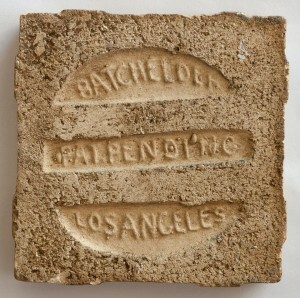 Batchelder was commissioned for many large installations in Los Angeles, such as the Dutch Chocolate Shop and the lobby of the Fine Arts Building. 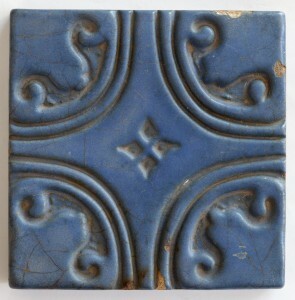 It was a large factory that produced a huge number of tiles; these tiles can be found in homes all over the country. 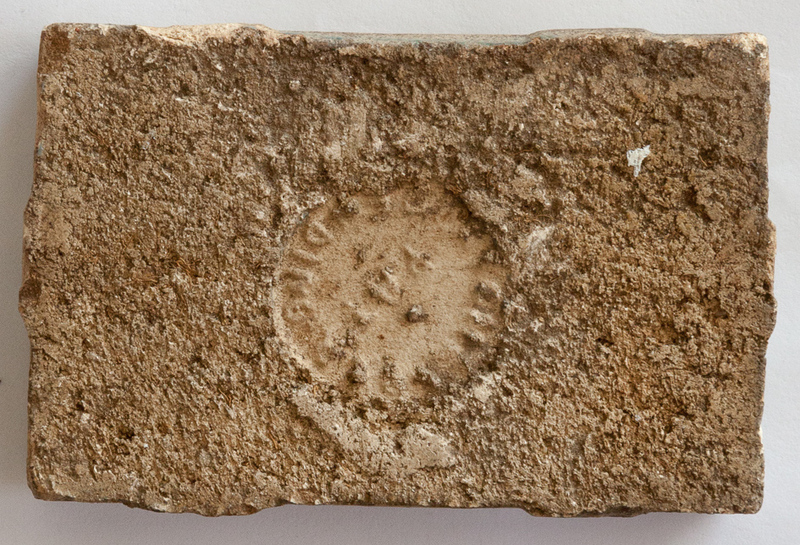 The tiles are generally well-documented; many are marked. 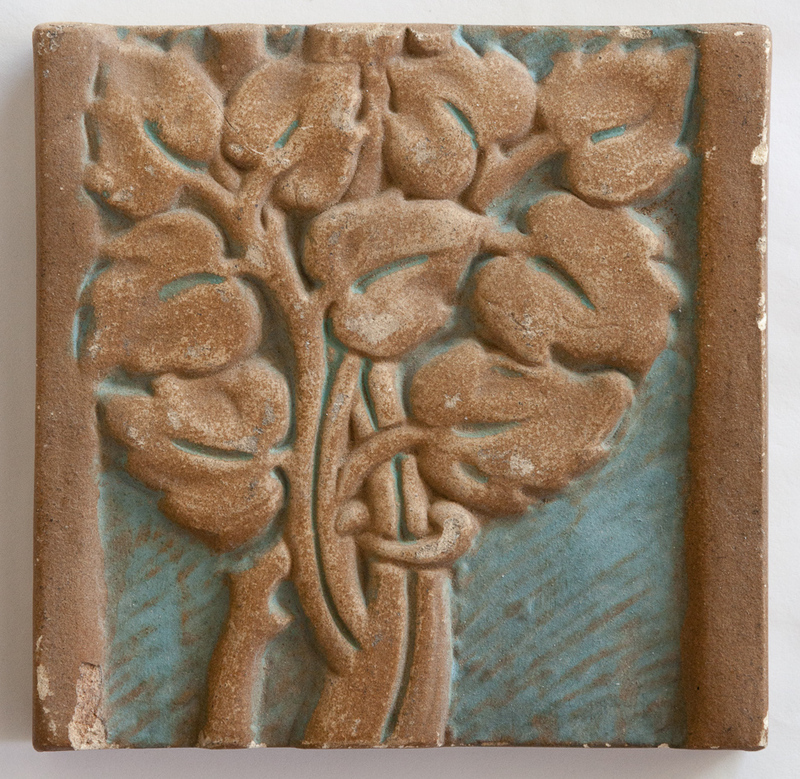 The company produced several catalogs with images, descriptions, and price lists. 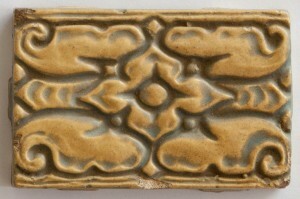 Beige and blue engobe tile with vine: page 64 of the Encyclopedia of American Art Tiles, Region 6, and page 30 of 1923 Batchelder catalog (No. 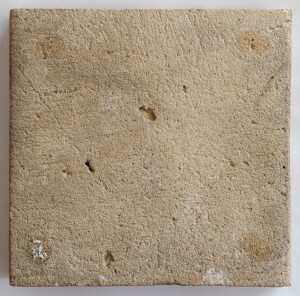 58, tile B). Beige tile with grapes: page 53 of the California Tile, The Golden Era 1910-1940 (vol. 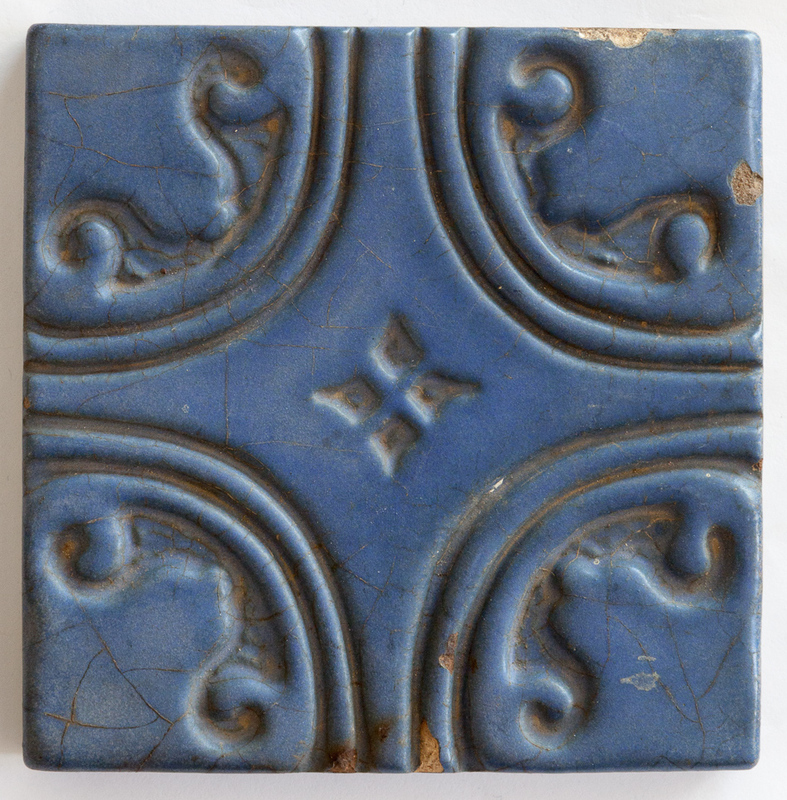 1), where it appears glazed in blue, and page 75 of the Encyclopedia of American Art Tiles, Region 6, where it appears glazed in white. 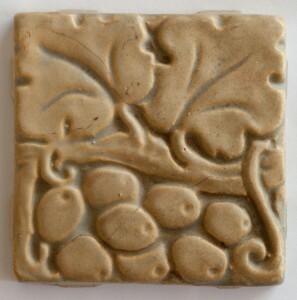 Black tile with vine: page 36 of 1923 Batchelder catalog (No. 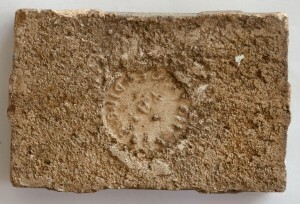 505, center tile). 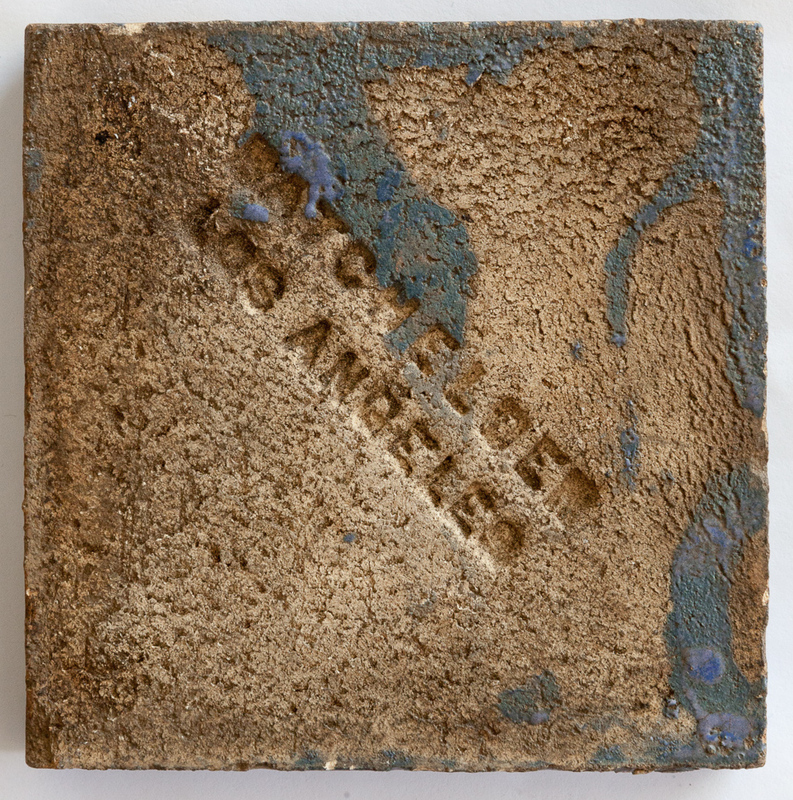 I couldn't find the blue and yellow geometric tiles in the books or the catalog, but they are both stamped "Batchelder," so their identity is not in question! 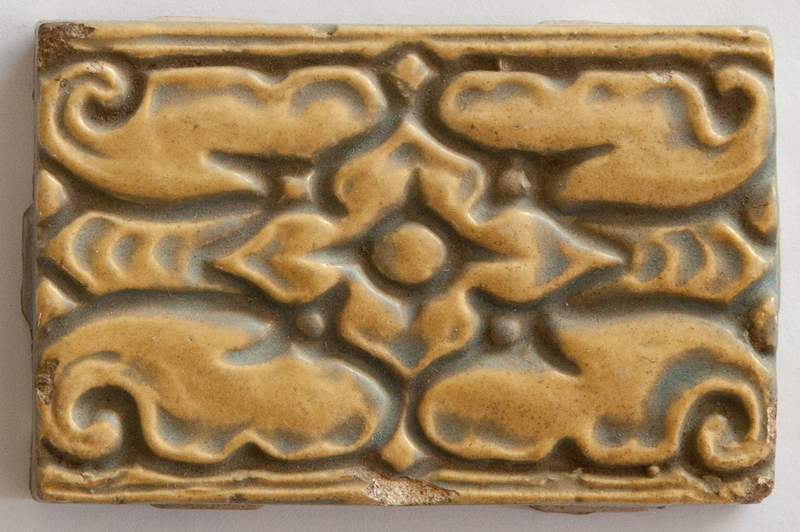 These tiles have never been installed but have a few chips around the edges. 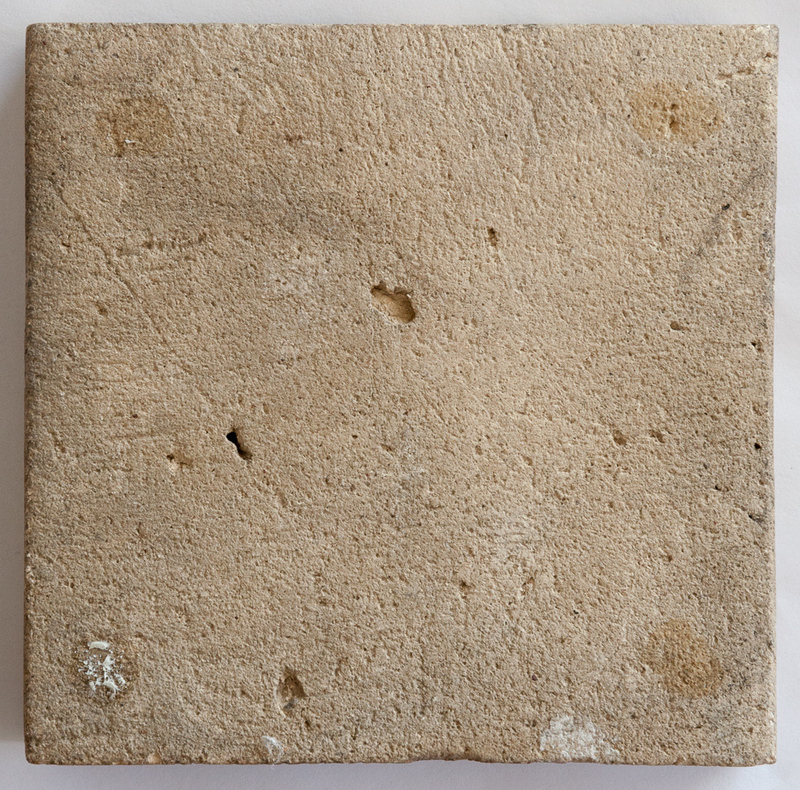 Dimensions (in order of images shown): 3 7/8" x 3 7/8"; 3" x 3"; 3 7/8" x 3 7/8"; 3" x 1 7/8"; 3 7/8" x 1 3/4"